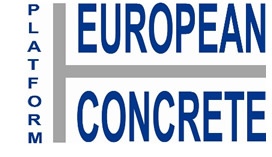 The European Concrete Platform (ECP) is a European Association which gathers together European branch associations representing the concrete industry and its constituents. The aim of the ECP is to study and promote all aspects of concrete as the material of choice for sustainable construction. In this regard, the ECP covers a wide range of topics, ranging from thermal mass and energy efficiency to Eurocodes and fire safety. The ECP is also involved in several projects and alliances. These include BUILDUP, Fire Safe Europe, the Sustainable Construction Glossary, and Construction Products Europe. EFCA is a founder member along with Cembureau, ERMCO and BIBM. EUROPEAN READY-MIXED CONCRETE ORGANISATION (ERMCO) is the federation of national associations for the ready-mixed concrete industry in Europe. In co-operation with other industrial partners of the concrete industry, ERMCO seeks to assist the development and adoption of concrete solutions based on the European Codes and Standards for the design and execution of concrete structures. ERMCO represents the ready-mixed concrete industry on CEN and other relevant European Committees, particularly in the fields of standardization, certification and the environment. In response to the demand for industry-led activities, ERMCO, through its Committee activities, is playing a significant role in establishing realistic standards for concrete manufacture quality control and environment protection. EFCA is a partner of ERMCO and contributes through its working group structure particularly in relation to concrete technology and sustainability. 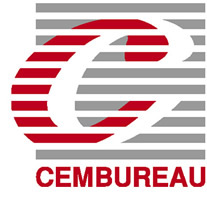 Cembureau – The European Cement Association CEMBUREAU, based in Brussels, is the representative organisation of the cement industry in Europe. Currently, its Full Members are the national cement industry associations and cement companies of the European Union (with the exception of Cyprus, Malta and Slovakia) plus Norway, Switzerland and Turkey. Croatia and Serbia are Associate Members of CEMBUREAU. The Association acts as spokesperson for the cement industry before the European Union institutions and other public authorities, and communicates the industry’s views on all issues and policy developments with regard to technical, environmental, energy and promotional issues. Permanent dialogue is maintained with EU institutions, international authorities and other international associations. Serviced by a multi-national staff in Brussels and with the input from its Members via four Working Groups as well as a number of Task Forces set up on an ad hoc basis and directly reporting to the appropriate Working Group, CEMBUREAU takes action in relation to all developments at European level affecting the cement industry. CEMBUREAU plays a significant role in the world-wide promotion of cement and the ready-mix and precast concrete industries in co-operation with Member Associations and other relevant organisations. The Association regularly co-hosts conferences on specific issues aimed at improving the market perception of the concrete industry and promoting the use of generic cement and concrete products. In addition, the Association regularly commissions studies to evaluate specific issues of importance to the industry. Bureau International du Béton Manufacturé (BIBM) is the European Federation of the Precast Concrete Industry. The association was founded in Brussels, Belgium, on 15th October 1954 following the 1st International Congress of the Precast Concrete Industry. the improvement of market conditions by contributing to the drafting of regulations, standards and technical documents. The Concrete Initiative, launched in April 2014 by Cembureau, BIBM and ERMCO, wishes to engage with stakeholders on the issue of sustainable construction, and in particular the barriers and solutions to harness its multiple benefits. It examines the economic, social and environmental implications of sustainable construction and the need for a balanced approach among these three pillars. It shows how the construction industry, including concrete, can help find solutions to Europe’s challenges. This means increasing understanding of the significant role of concrete in all three areas of sustainable construction. This publication therefore also outlines the benefits of sustainable concrete construction to Europe, as well as revealing some surprising facts, figures and examples on the key attributes of concrete. The Concrete Initiative’s manifesto has three objectives. Firstly, it seeks to encourage policy measures and standards that stimulate growth and innovation. Secondly, it sets out to improve the environmental and social impacts of the industry. Finally, it lays out the Concrete Initiative’s commitments towards Europe’s sustainable future. The Concrete Sustainability Council (CSC) is an embryonic organisation due to be fully launched in the near future. It is an initiative of the concrete and cement industry to develop and run a certification system for responsible sourcing of concrete and its constituent materials.